Hatching eggs for these birds are available on a limited basis only. Click on the link above to check availability. a huge difference once the rooster is fully grown! These birds are not available in the large fowl version in the United States and even the bantam version is rare, so I thought... why not play around breeding them to my standard Welsummers and see if I can get them up to full size. 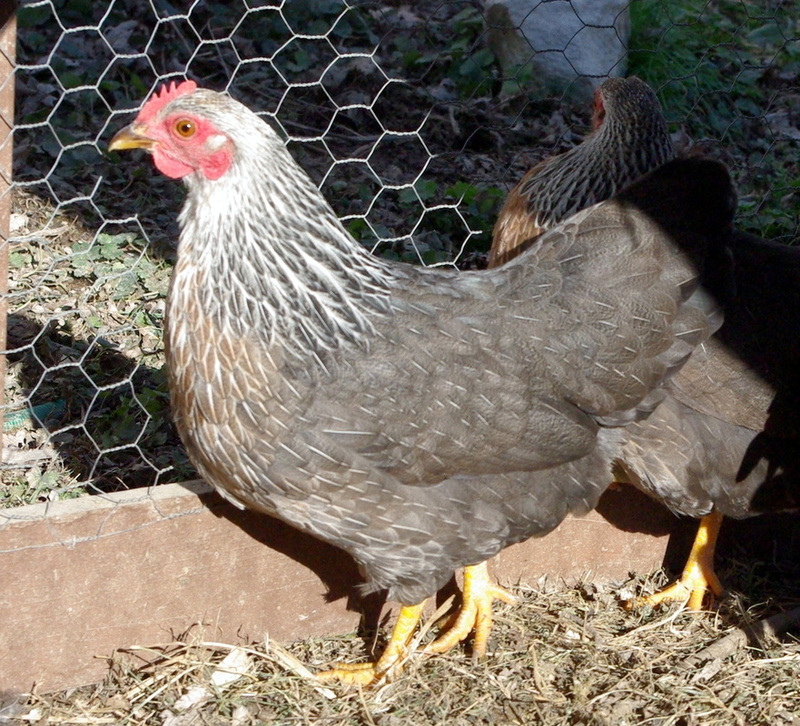 This strain of Silver Duckwing Welsummer Bantam came into the United States through Canada and were imported by Erhard Weihs at Kummer Poultry. Mr. Weihs is a long time Welsummer breeder and has imported German bloodlines in for his flock. Per DIY Seatle. the breed had been brought into Canada from Germany and has been bred in Germany for many generations. 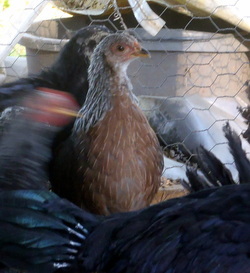 They are fairly calm for bantams, and do well in the mobile chicken coop I have them in. Egg color is light brown and not to the standard of the large fowl standard Welsummers'. I'm hoping that as I breed them up in size, the egg color will be darkened.